UW-Madison and Michigan St. University were recently awarded a grant from the Department of Energy to establish the Great Lakes Bioenergy Research Center. The focus of the GLBRC is to overcome the processing bottleneck when converting cellulose to ethanol. However, a significant thrust of this project is ‘sustainability’, which to us means understanding tradeoffs in the ability of biofuel cropping systems to perform ecosystem services, including not only provisioning services like biomass production, but also supporting services like C sequestration and nutrient retention, regulating services such as water purification and climate stabilization, and the cultural services of wildlife habitat, aesthetic enjoyment, and biodiversity. We are currently collaborating with Dr. Phil Robertson and others from MSU’s Kellogg Biological Station LTER to measure these changes in various cropping systems of variable species diversity. With Dr. Mark Renz I’m working on a project that complements our GLBRC research by assessing the sustainability of switchgrass (Panicum virgatum) production on six farms in Southwestern Wisconsin. The use of switchgrass and other native warm-season grasses is of great interest in Wisconsin. However, we lack information about proper management practices for the establishment and growth of switchgrass. 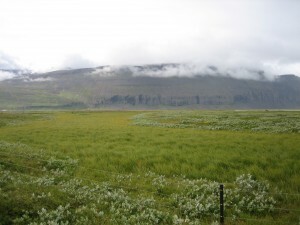 This project seeks to fill that gap in addition to assessing how such management practices affect key ecosystem services such as carbon sequestration, soil stability, and nutrient loss. In another effort directed toward this end, I recently served as lead PI on a proposal submitted to USDA-DOE to examine how the landscape context, including diversity and configuration of cropping systems in watersheds, influences these ecosystem services. Livestock grazing of pastures is a growing phenomenon among beef and dairy producers of the upper Midwest. Management intensive rotational grazing (MIRG) is especially popular because of its low capital requirements, benefits to forage production, and perceived lifestyle benefits. However, the ecological benefits of MIRG thus far are mostly anecdotal. We are testing the effects of MIRG on ecosystem processes compared to alternative management including continuous extensive grazing, harvesting, and CRP. Specifically, we are examining the effects of these management regimes on cool-season pasture 1) microbial biomass, composition and functional diversity, 2) net ecosystem production—soil carbon accumulation/loss, and 3) forage quality and quantity. With Dr. Geoff Brink, we are examining the effects of renovation and management on pasture productivity and quality under rotational grazing. 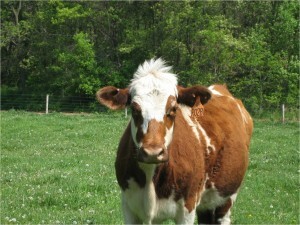 This work is being conducted on farms across a range of latitudes in Wisconsin. Growing interest in prairie restoration provides us with a unique opportunity to blend conservation efforts with agricultural production by integrating tallgrass prairie species into grazing systems. Potential benefits of this approach have agronomic (improved forage quantity and seasonal distribution), ecological (increased genetic diversity and ecosystem function), and social (niche markets, promotion of farmers as land stewards) dimensions. 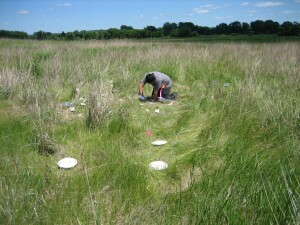 In past projects, we have 1) tested management techniques to promote the establishment of native, warm-season (C4) prairie grasses sown into cool-season (C3) grass pastures 2) evaluated the persistence of native C4 grasses under summer bison grazing, 3) administered a written survey of 800 Wisconsin farmers to understand the current status of native grass use and farmer attitudes towards native grasses and 4) developed a research brief for farmers discussing the use of native grasses. Currently, we are evaluating forage quantity and quality and pasture carbon sequestration potential under a gradient of cool-season to warm-season grass ratios. This work will provide information on the proportion of C4 grasses needed in working lands to achieve agronomic and ecological benefits. In addition, we are researching the establishment, management, and persistence of native warm-season grass pastures in Wisconsin. This study compares the suitability of named varieties versus local ecotypes of native warm-season grasses and evaluates their persistence under several grazing regimes. The Agricultural Ecosystems Research Group (AERG)is a Wisconsin-based consortium of researchers, outreach and policy experts, educators, and practitioners (e.g., farmers) interested in whole-system approaches to pressing environmental challenges of our time.